COLOR(S):Reddish brown, apricot, or brindle, all with dark muzzle, ears and nose. The Mastiff is one of the heaviest breeds; a male Mastiff can exceed 200 pounds. The Mastiff is very massive, powerful and muscular. It is a large, symmetrical dog with a well-knit frame. It gives the impression of grandeur and dignity. 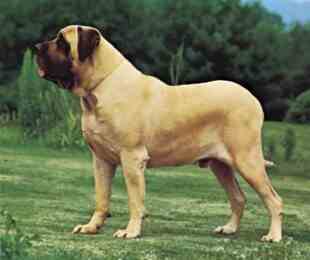 Originally valued for its abilities as a fierce guard and fighting dog, today\'s Mastiff is a gentle giant. A born guard dog, brave and loyal. It is calm, steady and docile. It tends to keep close to home and is disinclined to roam. "As a lion is to a cat, so is a Mastiff compared to a dog. It is a self-confident, watchful, and patient dog. It is gentle-natured towards its family. It is in its nature to defend its territory and family. It rarely barks; it is calm and docile. This breed needs lots of companionship; it loves to please. This dog makes an excellent companion to children (not recommend for toddlers though, because of its great size). It is very large and heavy. The Mastiff is very intelligent, responds well to gentle, patient training. It is very possessive of home, family and car; protection training is unnecessary for this naturally protective breed. The dog generally holds intruders at bay rather than attacking. 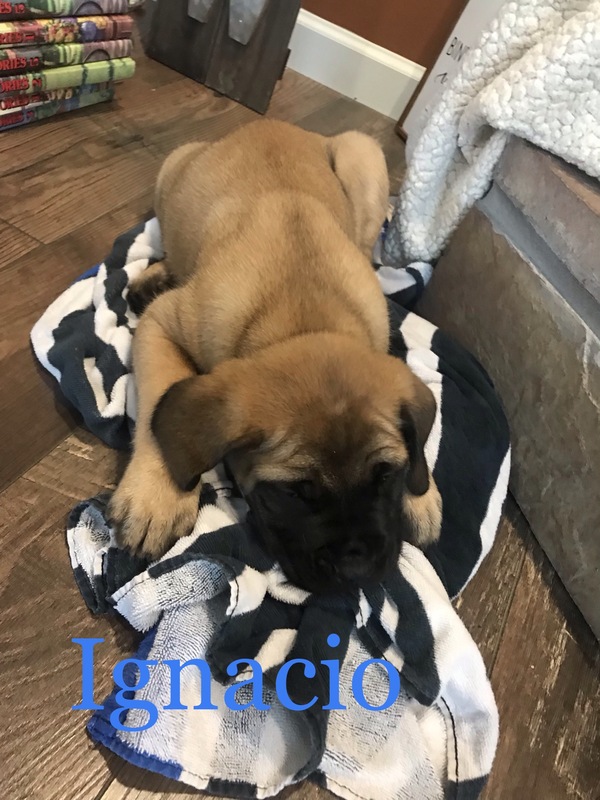 Extra effort should be given to socialize a Mastiff puppy; it may be combative with other dogs if not very well socialized. The Mastiff\'s dominance varies widely depending on the lineage; it can be aloof with strangers or fairly friendly. Some of the Mastiff\'s talents include: watchdogging, guarding, police work, military work, search & rescue, and weight pulling. This breed tends to drool, wheeze and snore loudly. Outer coat short and straight, undercoat dense and close lying. The coat is easy to groom. Brush with a firm bristle brush and wipe over with a piece of toweling or chamois for a gleaming finish. Bathe or dry shampoo when necessary. The Mastiff is an average shedder. Hip dysplasia, elbow dysplasia, eye diseases and bloat. 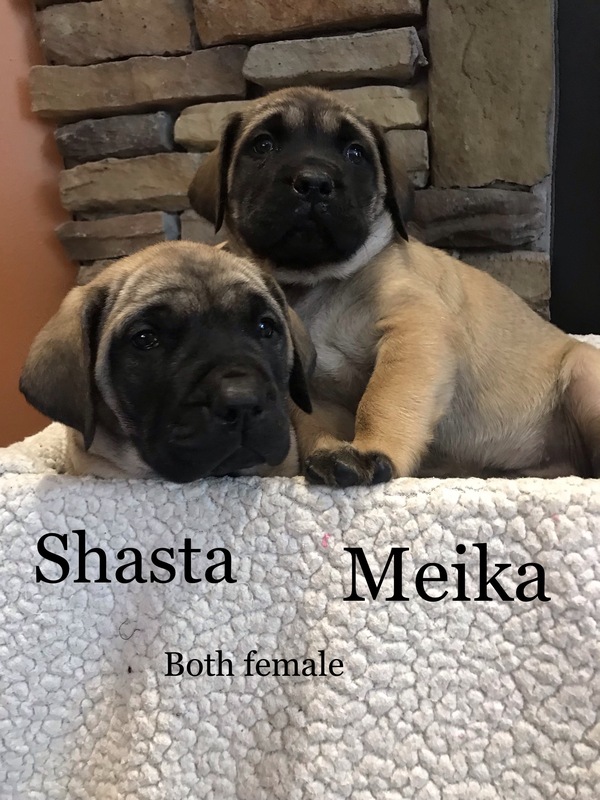 Bloat is a health concern to most dogs, being the biggest killer of dogs second to cancer, but Mastiffs are particularly susceptible to it because of their deep chests. Bloat is also known as twisted stomach or gastric torsion. Other, smaller health concerns include obesity, cancer, osteosarcoma, and cystinuria. Regular but not over tiring exercise will keep the Mastiff in shape and develop their muscles. Controlled exercise must be given to a puppy until they are fully developed. Firm but gentle training is essential to keep the Mastiff under control. Remember consistency, lots of love, and plenty of understanding. 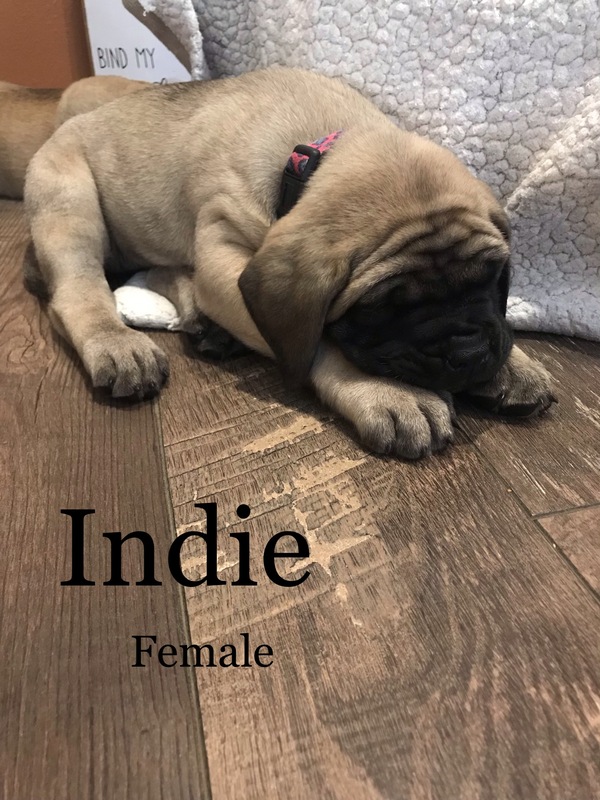 Early human contact should be given to Mastiff puppies so that they are good around children and fast moving animals when they get older. If puppies are not socialized, they may resort to fear-biting if something fast or unusual happens around them.